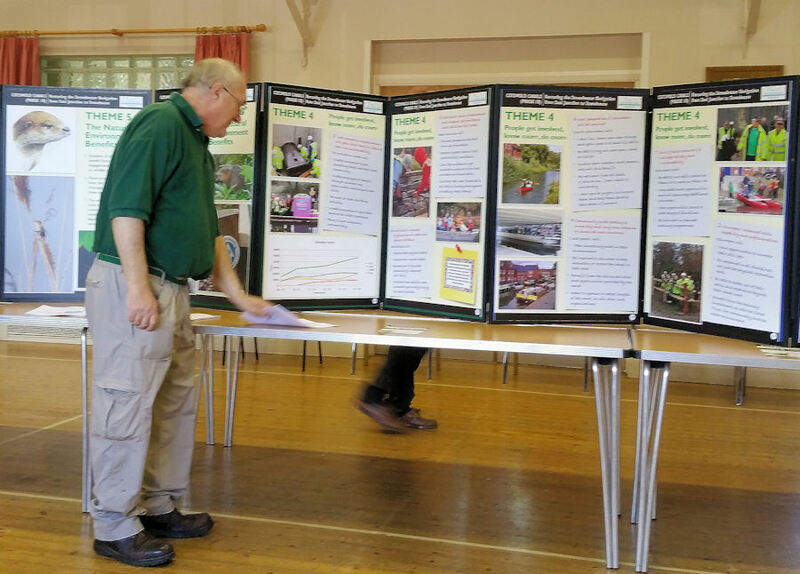 Thank you to all those who came to the Saul to Stonehouse Waterway Restoration Exhibition at Whitminster on Saturday 6th June. Pictured right, catching up on the funding bid themes is local canal enthusiast Stuart Baker. Thanks also to those who joined Cotswold Canals Trust as members on the day. Come and chat about the future of the restoration.